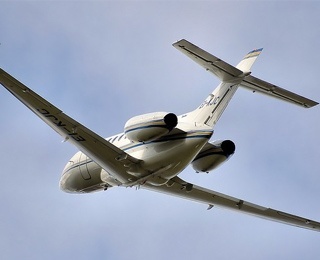 A drop in oil prices and increased competition has brought airfares to their lowest level since 2009, which is why a record number of people are expected to take to the friendly skies this summer. The trade organization, Airlines for America®, estimates that U.S. airlines will carry 231 million passengers between June 1 and Aug. 31, a 4 percent increase over last summer. But will the skies really be friendly? With fewer security screeners and an increase in carry-on bags on top of the passenger swell, wait times at many airports has already escalated, especially at the five busiest—Atlanta, Los Angeles, Chicago, Dallas and New York’s J.F. Kennedy. Reports of passengers missing flights and spending hours shuffling through screening lines are filling news reports and social media outlets. This month the Transportation Security Administration hired more screeners to address the long airport lines, but time will tell if the measure is more a band-aid than a cure. 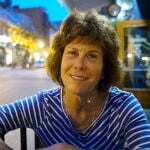 Here’s what passengers can do to make their trip successful and comfortable. The program is available at 160 airports. You can apply online and should receive approval within five business days. Adults 18 years old and over must show a valid driver’s license or identification card issued by a state. Other acceptable IDs are listed here. TSA does not require identification from those under 18 who are traveling with a companion within the U.S.
“You may still be allowed to fly. The TSA officer may ask you to complete a form to include your name and current address, and may ask additional questions to confirm your identity. If your identity is confirmed, you will be allowed to enter the screening checkpoint. You may be subject to additional screening. You will not be allowed to fly if your identity cannot be confirmed, you chose to not provide proper identification or you decline to cooperate with the identity verification process,” according to TSA. A valid passport is required for foreign travel, including Mexico and Canada. Stay tuned: new ID requirements for domestic travel are coming in January 2018. You are allowed to bring a quart-sized bag of liquids, aerosols, gels, creams and pastes through the checkpoint. These are limited to 3.4 ounces (100 milliliters) or less per item. Before you head to the airport, best to review TSA’s detailed prohibited and acceptable list for both carry-on and checked, which includes food, sporting goods and tools. Wear comfortable shoes, preferably easy to slip off. Passengers should arrive at the airport 2 hours before a domestic flight and 3 hours before an international one. You might want to check the airport’s website a few days before traveling for updates regarding construction delays and the like. While waiting in line, mentally prepare for the security check. Have your ID and boarding pass handy, and be ready to act when you get to the head of the line. Ensure pockets are empty (keys, tissues, currency, wallets, cell phones, etc.) and remove bulky jewelry (valuable items can be placed in your carry-on). Remove computers and large electronics from carry-on and place in the bin along (video game consoles, remote control toys, etc.). The TSA has put together a handy one –page checklist to print and carry with you. Once through security, the real journey can begin. 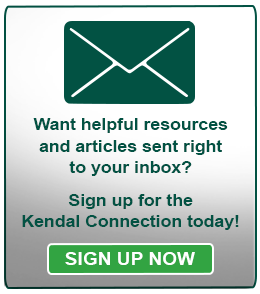 Haven’t signed up for our Kendal Connection email yet? Subscribe to our blog by providing your email in the right hand side bar on our blog homepage.